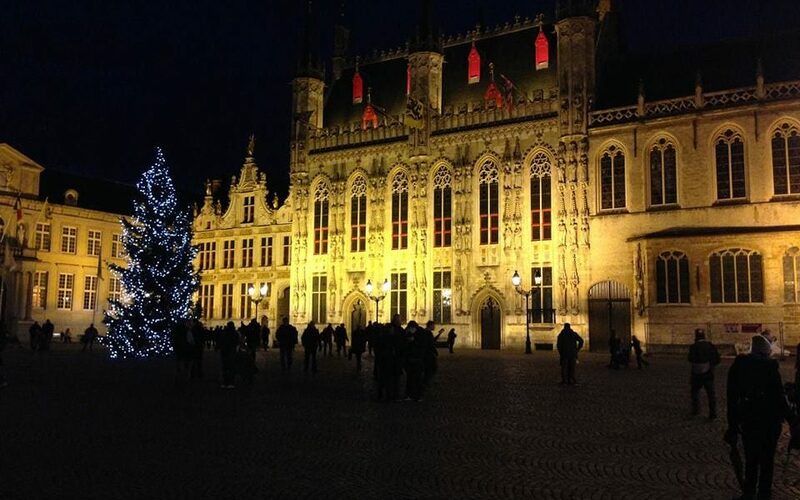 The 2013 VRMA European Seminar wrapped up yesterday in Bruges, Belgium, with 109 vacation rental industry leaders from 14 countries in attendance. The supplier companies represented at the conference currently provide services for vacation rental professionals in multiple countries and regions, and are looking to grow their international presence in the coming years. Let’s look at some of these global players, the services they provide, and their experience with the 2013 VRMA European Seminar. Headquartered in Rome and founded in 1996, Cities Reference is an online marketplace for vacation rentals worldwide. Guglielmo Parasporo, founder and owner of Cities Reference presented a session for Crisis and Market’s Reaction, a crucial topic covered in the seminar. Crisis affects everything and everyone involved in the business industry, regardless of the country or business type. It is important to see how these potentially uncontrollable events can affect the market and prepare every entrepreneur in counteracting their events. With Cities Reference, all online prices are final and inclusive with no additional fees and practices are in place to promote sustainable, responsible tourism. The majority of the owners/managers of the listed vacation rental apartments are met and ‘Verified™’ by representatives after being listed into our websites. The search engine is user-friendly with a choice of 15 different filters (from the number of bedrooms and budget, to the washing machine, rather than wireless internet and/or the terrace or balcony) and the ability to sort by recommendation, travelers’ reviews, area, price, etc. Website content is very detailed, with client’s feedbacks and rating on each apartment and detailed information on its amenities and the whereabouts on the area. A high percentage of rental listings, those indicated as Instant Booking, offers guests immediate online booking confirmation. Dwellable is a search engine for vacation rentals and offers free listings for homeowners and property management companies. What separates Dwellable is when visitors want to book a rental, Dwellable sends them directly to your web site to complete the booking, driving traffic to your site and increasing your sales. Dwellable is also the top vacation rental app on Apple’s iOS and Google’s Android. Winfield presented the results of their 2013 Mobile Vacation Rental Survey of more than 100 property managers. Glad to Have You is the first and only guest management system and complete mobile solution designed specifically for vacation rental management companies – revolutionizing the way you manage and communicate with guests. Glad To Have You sponsored the conference and provided a custom mobile app for attendees. Glad to Have You’s platform provides hospitality management companies with a content management system in the cloud paired with a mobile solution for guests. The solution aims to allow companies to more efficiently manage their guest and property information, while providing guests with an easier, more informed and overall more enjoyable travel experience. Each guest receives the pre-arrival, property, and area information they need automatically, along with all of the details they need for their specific stay – when to arrive, where to park, auto generated check-in info and lock codes. Even specific details unique to each guest like wireless codes, television instructions, etc. The platform also provides instant two-way communications with guests, detailed analytics, and a robust and fully integrated marketing platform to increase guest loyalty. It’s a concept based on giving guests what they need, when they need it, and how they want it. In 2011, Franck Lefeuvre, co-founder of Homeloc, served as director of listing sites for seasonal rentals for FLV.fr. By talking to homeowners he discovered that –on average – a property listing is distributed manually over four different consumer-facing rental sites, causing frustration for homeowners trying to manage multiple listings and availability calendars. In 2012, he partnered with William Shack to create a software solution to help owners in this process, generating more bookings while saving time and money. In 2012 he joined William Shack and created Homeloc, a service which allows owners to create and manage multiple listings in one place with additional features for owners including free property websites, centralized reservation requests, automated messaging, and synchronization of rates and availability. Quentin Richard, Web Marketing Manager at Homeloc presented the session, “Web-Search : The Power of HyperLocal for VR” at the conference, which discussed search techniques used by guests and how to adapt to advanced search language and changing technology to ensure property listings are getting the most traffic. InstaManager is a leader in cloud based services for the lodging industry, whose users/clients compete in 85+ Countries on 6 continents with millions of vacation rental nights booked via their vacation rental software. 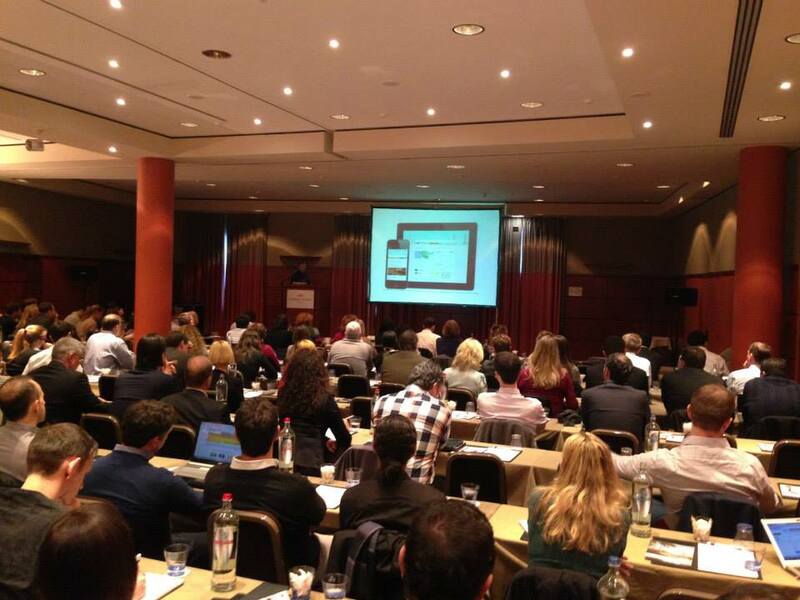 InstaManager was a sponsor for the 2013 VRMA European Seminar. InstaManager has 3 key components: 1) InstaSites, a beautiful mobile-enabled booking site, 2) InstaApp, web-based software to manage your reservation sales and back office, and 3) InstaChannels, a tool to distribute your properties to the most effective vacation rental channels in the world. Kigo has been a leading provider of online vacation rental software for more than 5 years. Started in 2008 by Shawn Convery when he couldn’t find a simple way to manage his vacation rental properties in Europe, Kigo has since grown to be the underlying platform for hundreds of agencies in the United States, Europe, Asia, and South America. From their roots as a simple provider of synced vacation rental calendars, Kigo has grown and evolved to take care of scheduling, reservations, accounting, channel management, website design, and myriad other tasks that are a daily part of property management operations. And they can’t wait to show you what the future has to offer — Kigo is committed to continually adding advanced technology, features and support to help vacation rental managers improve their business. “Attending VRMA events always takes top priority on Kigo’s events calendar. Their ongoing success reinstates that the vacation rental industry has really boomed over these past few years!” said Shawn Convery, Kigo’s CEO. 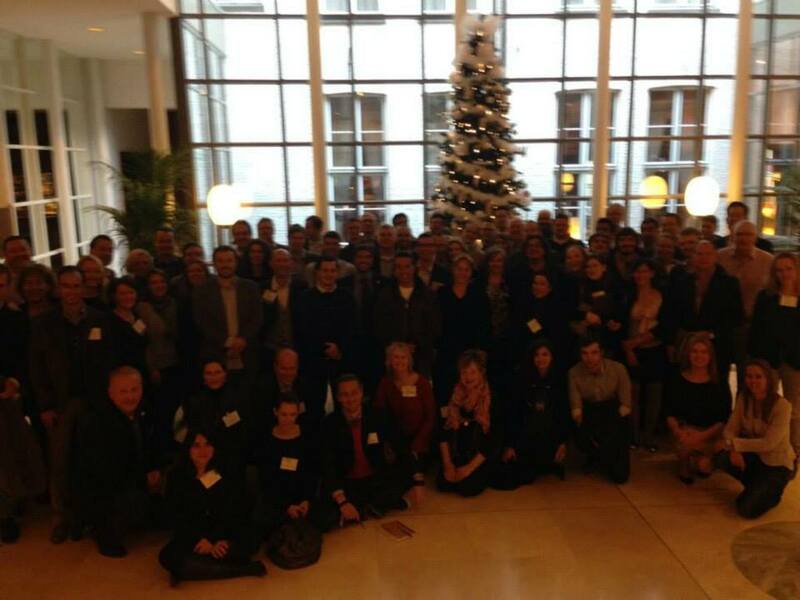 “We really enjoyed the European Seminar because not only were the sessions very insightful, we got to meet like-minded professionals from all over Europe and engage in invaluable industry conversations. As a sponsor of the VRMA European Seminar, the Kigo team shared in person best practices for vacation rental management, and their SEO expert Eva Gundermann presented a session on Social Media for vacation rentals and how it can benefit marketing strategy. Maxxton’s vacation rental software Newyse is a complete ERP management platform that gets your vacation rental business online and offers superior property management. It also facilitates, enables and supports distribution, marketing, customer relationship management and business intelligence. Jean Pierre Mampaey, Maxxton Group, led the session, “The Evolution of Customers’ Expectations: Trends and Reflections on Guest Experience” which discussed the role played by technology in creating a customer-centered environment. “Maxxton delivers the technology used by thousands of vacation rental resorts across Europe, so it was very fitting for us to present at the 2013 Vacation Rental Managers Association European Seminar”, said Chris Connar, Maxxton’s Vice President of Sales and Marketing for North America. “The feedback from U.S. suppliers and vacation rental managers has been consistent; the European Vacation Rental Market is much more evolved in terms of technology than its American counterpart. As a multinational company and VRMA corporate sponsor, we are committed to help educate the global market and lead from the front, pushing the concept of Hospitality Enterprise Resource Planning (ERP) for the vacation industry”, said Séverine Obertelli, Head of Sales & Marketing – EMEA. Maxxton delivers Hospitality Enterprise Resource Planning (ERP) solutions designed specifically for the Vacation Rental Industry. A true Software-as-a-Service, All-in-One system to control every aspect of your professionally managed, Vacation Rental Organization. Streamlined workflows increase operational efficiency, and data flows negate multiple data entry and provide real time visibility of all your information, enterprise wide. Data entered in a work order, for example, flows through to orders, housekeeping, reservations and statements, resulting in a single data entry instead of five. This results in increased data accuracy, speed and efficiency. Adjustments to owner revenues as a result of maintenance costs are quick, easy and accurate. Maxxton‘s WyseMe, one of Newyse’s 22 valuable and functional modules, allows you to provide secure (password protected) owner access to the administration elements of your business in order for them to view and print statements (past and present), pay bills, check their reservations calendar and book accommodation units (either their own properties or others) for themselves and their friends. NAVIS Technologies provides call center services and a reservations management platform for lodging companies. NAVIS also recently launched a CRM for hotels, resorts and vacation rentals, an industry-specific email tool with automated lifecycle messaging, and customized revenue management services. NAVIS offers vacation rental companies a completely integrated sales and marketing solution that captures more data, optimizes productivity, and increases revenue. SuperControl is the powerful, flexible online booking and management system for self-catering and property rental businesses that puts the user in the driving-seat. Developed by IT experts with their own self-catering properties, SuperControl’s sophisticated, secure and easy-to-use facilities will win you more bookings, while saving you valuable time and money. SuperControl offers reservations software for any size company with 3 levels of software subscriptions: 1) SuperControl LITE for owners with 1-3 properties, 2) SuperControl PLUS with administrative, management and marketing tools for vacation rental businesses with multiple properties, and 3) SuperControl Agency which is tailored to the needs of rental agencies who promote vacation rentals. Aspasios offers a wide selection of apartments for rent in Barcelona and Madrid. The Aspasios team is located in Barcelona and Madrid and is eager to help clients solve any problem or satisfy their needs. Aspasios offers extended services to guests, such as special advantages offered through “Aspasios Select”, a careful selection of boutiques, restaurants, services, etc. where guests receive special prices and service. Juan Antonio Rodriguez, Director of Sales and Marketing for Aspasios, presented a session on affiliate marketing as is a powerful tool to drive qualify traffic to holiday rental websites, both as leads and sales. “VRMA Meetings are a great way to get in the know about what´s going on in the Vacation Rental Industry, apart of meeting friends and have fun in European major cities,” Juan A. Rodríguez, Aspasios.com. BookingPal increases vacation rentals visibility and bookings worldwide by connecting property managers and owners to online travel websites, travel agencies and real estate websites. Property Managers automatically publish and update their listings through API-based integrations with their Property Management System (PMS), while those without a PMS can login to BookingPal to add their vacation rental. All listings become immediately available for booking through a global network of online travel websites, travel agencies and real estate websites. For 50 years, Europ Assistance has been supporting its customers all over the world, providing its customers with information and advice, health risk indicators for each country, labels and badges for locating mislaid luggage, cancellation, lost baggage and multi-risk insurance, online claims reports, “anti surprise” rental insurance, innovative Web services and mobile applications. Europ Assistance owns CSA Travel Protection, the title sponsor for the 2013 VRMA European Seminar. CSA markets, manages and administers travel insurance and emergency assistance services, allowing visitors to have a worry free travel experience. FlipKey features the largest collection of verified holiday rental guest reviews and powers the holiday rental listings on TripAdvisor, the world’s largest online travel community. HolidayRentPayment, powered by YapStone International LTD, is an experienced and innovative online payment solution available in the Holiday Rental industry. HolidayRentPayment is focused on providing holiday rental property owners the best combination of total cost savings, robust security, and superior technology accessed through their network of affiliate listing partners. HomeAway is the leading global marketplace for online vacation rentals, with over 775,000 properties in 171 countries in the global network. HomeAway complements your marketing efforts by expanding your online reach, providing a cost-effective source of bookings, and providing significant opportunities to build owner and traveler awareness of your brand. LiveRez is the leading vacation rental software provider for professional vacation rental managers. The company’s cloud-based, end-to-end platform offers fully integrated solutions for reservation management, trust accounting and online marketing, with high-ranking, high-conversion dynamic websites and an extensive affiliate marketing program. The company is a Gold Sponsor of the VRMA and sponsored the seminar for the second consecutive year. The VRMA European Seminar features a dozen informative educational sessions specifically designed for today’s holiday rental professionals.